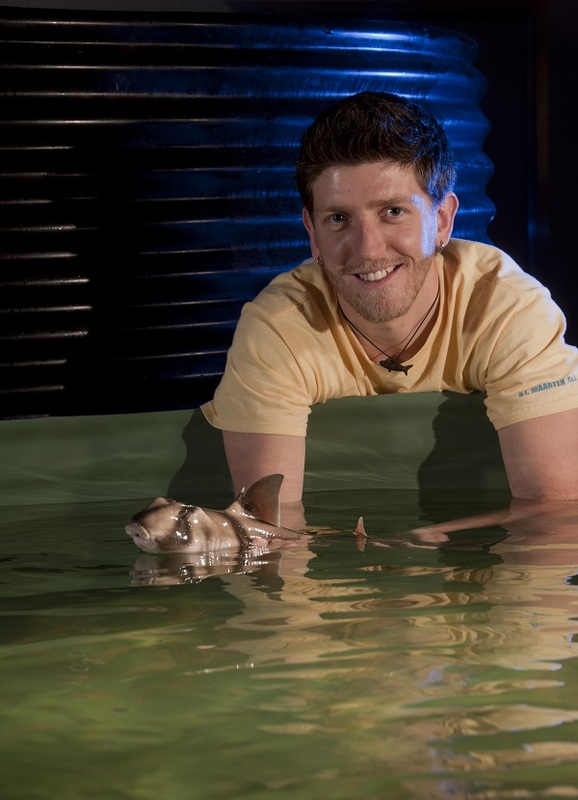 My name is Ryan Kempster, I am an Animal Care Specialist, Marine Biologist, Educator, and founder of the outreach group Support Our Sharks (SOS). I began my career in the U.K. as an Interpretive Guide and Aquarist, while completing a B.Sc. (2005) and M.Sc. (2007) in Marine Biology. After completing my studies, I travelled the world and was fortunate enough to gain experience working for a number of marine conservation organizations. I worked on a range of projects addressing the impacts of climate change, including mangrove restoration in Thailand, surveying coral reefs in The Bahamas, monitoring fish populations in Fiji and protecting sea turtles nests in Costa Rica. Through these experiences, I had many opportunities to get up close and personal with a range of marine life including many species of sharks, which is how I developed a passion for sharks and ocean conservation. In 2010, I took my passion to the next level by completing a doctorate degree, investigating the sensory biology of sharks, at the University of Western Australia (UWA). While conducting my core research on sharks, I also managed the University Research Aquarium, which housed a range of marine and freshwater species. I endeavored to explore many aspects of marine science and ocean conservation, which allowed me to gain experience in a broad range of fields including climate science, biology, animal husbandry, ecology, education, and conservation. My experiences have taught me valuable lessons about the important role that scientific research plays in instructing conservation policies, and the need to interpret scientific research to effectively engage the public in science and conservation. Therefore, I have made it my personal goal to share my knowledge with the public in a manner that entertains and educates. As a result, I have gained extensive experience presenting to scientific and non-scientific audiences of all ages. Furthermore, I have authored a number of scientific research papers and books, as well as hundreds of online articles aimed at non-scientific audiences.